Breakthrough Nintendo Switch brings a new dimension of control. On the right you will find Joy-Con NFC point for interaction with amiibo figures and IR camera for motion detection distances, shapes and movement of nearby objects in games that have been specially designed for this type of function. The groundbreaking Nintendo Switch controller introduces a new dimension of gaming. The left and right Joy-Con work well together but they provide an exciting multiplayer experience too — use them as a single controller with the help of the Joy-Con grip or divide them to hold one in each hand. 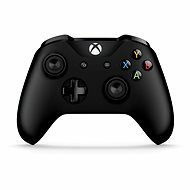 Each of the controllers has its own buttons and features an accelerometer with a gyroscope, allowing for an independent operation. 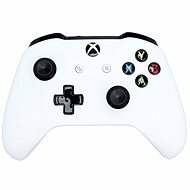 Connect the controllers to the console for handheld mode or share the Joy-Cons with your friend to enjoy a multiplayer gaming session. The right Joy-Con features a NFC reader/writer for interaction with amiibo figures and an IR Motion Camera that can detect the distance, shape and motion of nearby objects in specially designed games. Together, the left and right Joy-Cons offer advanced HD Rumble feature providing realistic subtle vibrations for an enhanced gaming experience. Want to feel the ice-cubes moving in a glass? The Joy-Con can provide that and much more. Für Versand nach Deutschland, besuchen Sie bitte Nintendo Switch Joy-Con Rechts Grau. Chcete doručit zboží do Česka? Prohlédněte si Nintendo Switch Joy-Con Pravý Grey. Chcete doručiť tovar na Slovensko? Prezrite si Nintendo Switch Joy-Con Pravý Grey. Für Versand nach Österreich, besuchen Sie bitte Nintendo Switch Joy-Con Rechts Grau. 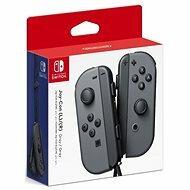 For shipping to the United Kingdom visit this page Nintendo Switch Joy-Con Right Grey. Magyarországra történő kiszállításért tekintse meg ezt a termékoldalt: Nintendo Switch Joy-Con jobb Grey.